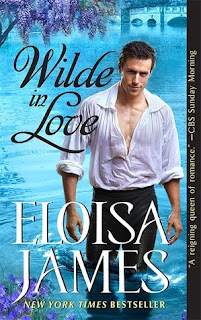 Wilde in Love is book 1 in The Wildes of Lindow Castle series. I had to grab this book when I saw it was the start to a new series and I'm so glad I did! I fell in love with the characters so quickly and wound up adoring this book. 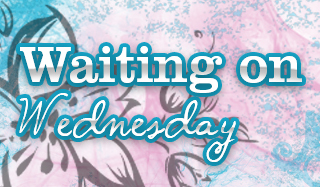 If you're a fan of Historical Romance books that are swoon worthy, grab this book asap. Lord Alaric Wilde, son of the Duke of Lindow has finally returned home from his adventures. He's written several novels detailing his travels and the different cultures he's encountered and it has left him with a large fan group much to his surprise. That could also be because someone has written a play of purely fiction about Lord Wilde that has all the ladies attention. Miss Willa Ffynche is the picture perfect lady during her first season, but has a lovely rebellious streak in private with her friends. She wants nothing to do with Lord Alaric, but can't help being attracted by his alluring eyes. Of course, Alaric is intrigued by Willa, at first because she's the only woman in the room that wants nothing to do with him, but then because of her amazing personality and beauty. He's not going to let her get away and she doesn't want a gentleman that has all the spotlights on him. I couldn't wait to see how this would play out and to see if Alaric would be able to settle down in one place after traveling for so long. Swoon worthy, Wilde in Love is a must read. I was instantly hooked by the plot and characters and couldn't get enough of the story. The characters are so engaging I'm having a hard time picking if Willa or Alaric was my favorite. The plot moved nicely without dragging and the romance aspect was sizzling. If you're a fan of Historical Romance you need to read this book, you can thank me later. I've enjoyed her previous books but I LOVED this one so much. Hope you try it! I am glad to hear that you really enjoyed this one. I have been reading some mixed reviews so I wasn't sure if I wanted to try this one out. But NOW I am wishing I had grabbed up the ARC since I have enjoyed reading this author in the past. I've never read Eloisa James before, but I've heard so many great things about her books. This does sound like my cup of tea, so I'll have to check it out. Glad you enjoyed this! I hope you enjoy it if you try!! Haven't read at historical romance in a while now but this sounds so good. I'll definitely check this one out! Yesssss check it out. LOVED it!!! I've never tried this author. I am very fond of great characters though. Glad you enjoyed this one so much.